In the hustle and bustle of the coldest part of the year (at least for us on the North end of North America), it is important, no-imperative that you stop! Stop, sit quiet and listen to your inner guidance. That little voice that will speak with you if you stop and listen. Take some time right now to close your eyes and settle your thoughts. Now ask yourself what it is that is troubling you? Listen for the answer. Muse on that answer, ask more questions like “how will I know?” “Who” “Where” “When”?? Now-when you feel like you know what to do next-When you are given an urgency to do something, do not hesitate, get right on it! This is the answer you were looking for-you don’t have to understand the whole answer. Not even remotely likely that you will get a complete answer! What you receive is a feeling that you should do this particular thing. Do it! This will open the universe to your feelings and bring what you desire in. knew the secret-like Thomas Eddison, Einstein & Alexander Graham Bell. This knowledge was not widespread however. Powerful people kept The Secret to themselves. 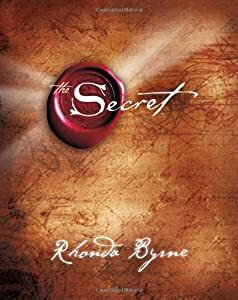 It wasn’t until Rhona Byrne’s discovered The Secret that it was made into a book and a movie so everyone can live and benefit from this knowledge, that means you too! The Secret reveals the single most powerful law in the universe. teachings and religions in the world. What Rhonda discovered is now captured in The Secret, a film that has changed millions of people’s lives across the planet. No matter who you are, no matter where you are, you can change your life. My friends, once you learn The Secret your life will be forever changed. You will be able to accomplish all that you were meant to do. Don’t wait another second to start! Have a blessed Christmas enjoying life today.